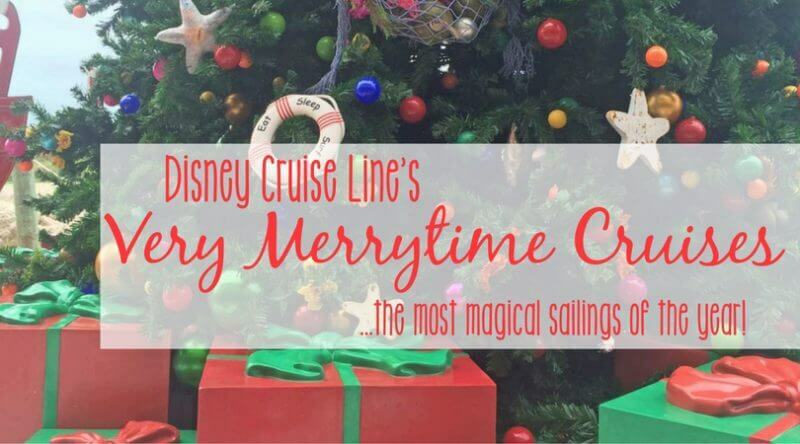 You are here: Home / Disney Cruise Line / Disney Cruise Line’s Very Merrytime Cruises – the most wonderful sailings of the year! 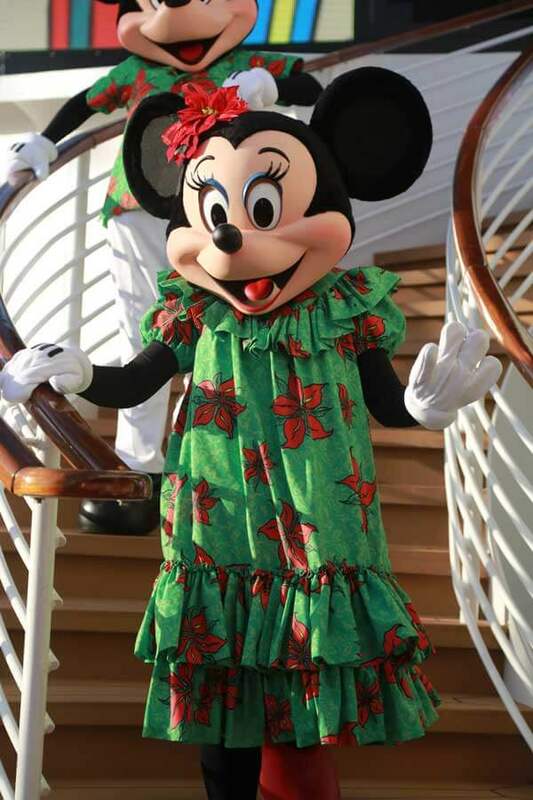 Disney Cruise Line’s Very Merrytime Cruises – the most wonderful sailings of the year! Twice, our family has cruised during Disney’s “Halloween on the High Seas” itineraries. 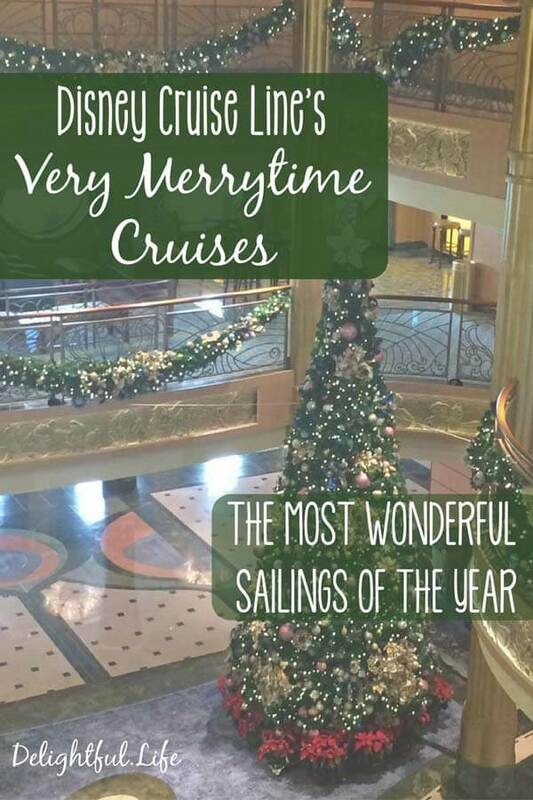 Those cruises are fun and unique, but in my opinion there is not a more magical time and place in the world than to be on one of the gorgeous Disney ships during Christmastime – during their “Very Merrytime Cruises” sailings. There aren’t enough minutes in the day to share how much we really love them, but this should be enough to get you started. 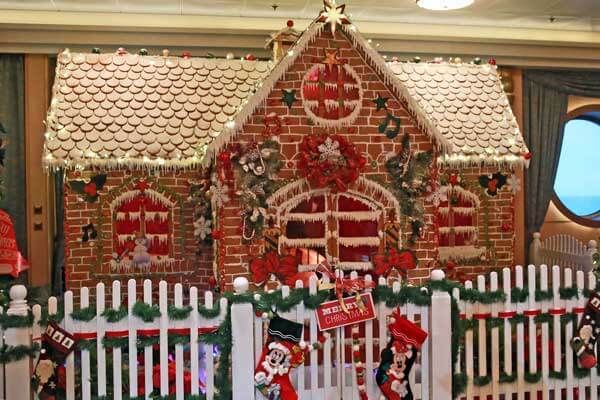 gingerbread houses that actually taste good. It’s long been understood around here that we don’t love making gingerbread houses. They are finicky and frustrating and often don’t taste good at all. It was so different on the Fantasy though, when we made our lovely creations out of world-class royal icing and freshly (and professionally) baked gingerbread. Deck the Deck Tropical Holiday Party (and characters in holiday attire!) 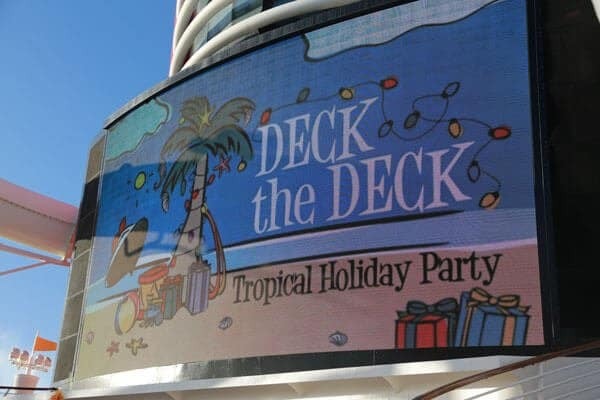 I love all of the Disney Cruise Line deck parties, but this one is extra fun. Everyone loves seeing the characters dressed up for winter. Also experience Santa’s Winter Wonderland Ball in the atrium, and visits with the head elf himself! holiday storytelling from around the world. If you’ve seen the holiday storytellers at Epcot, the experience on the cruise ships is different but equally charming. The sessions each evening feel intimate, and are educational and fun! The best part for our family, though, is that when you sail on a Disney cruise you really get to know the cast and crew – so to hear the stories told by one of your new friends can be extra special. 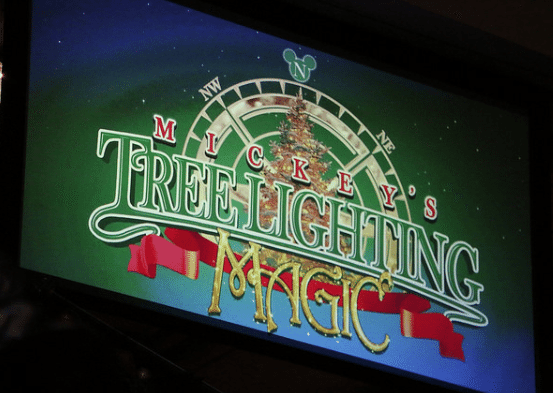 Mickey’s Tree Lighting Ceremony and other holiday activities. On the first night of the cruise, Mickey and friends invite you to join with them as they sing familiar holiday tunes and light the atrium tree for the remainder of your sailing. 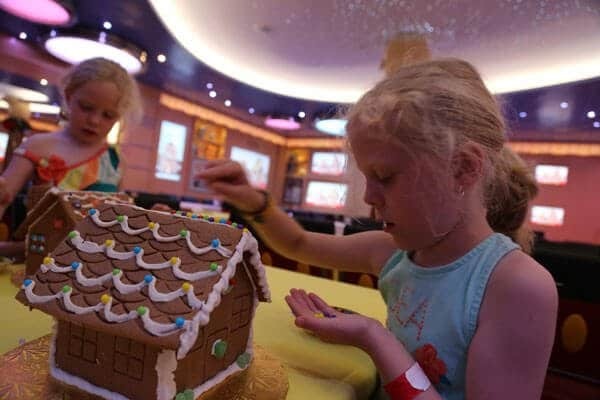 Throughout the rest of the trip, you can find holiday-themed activities for all ages – stocking decorating, cooking baking, and more! holiday decor on Castaway Cay. 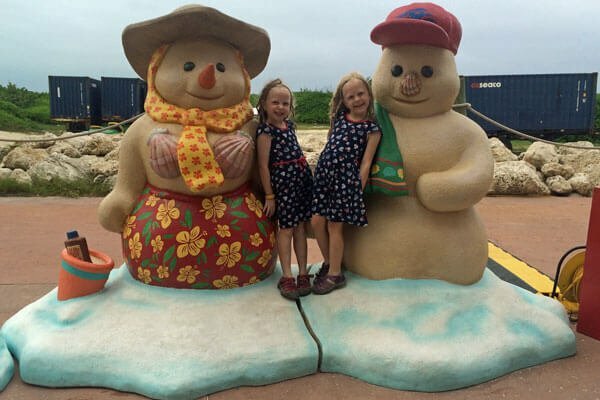 If there’s something that just might be more magical than being on the ships at Christmas, it’s visiting Castaway Cay at Christmas. When you get off the boat and step onto Disney’s private island you’ll find holiday garland and ornaments throughout the island, as well as some super cute photo ops. You may even be lucky enough to see your favorite snowman ready to celebrate! 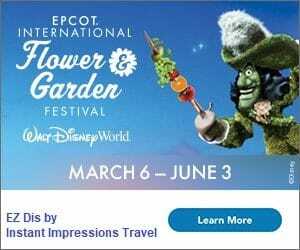 Just add subtle, perfectly selected holiday background music, flurries in the atrium, sweet smells of Christmas, and all the other amazing things you’ll find on Disney cruises throughout the year, and you’ve got the absolute perfect combination of elements for the most magical vacation. You know what though? If you took all of that away, sailing in November and December would still beat trudging through snow at home. Have you ever sailed with Disney during their Very Merrytime Cruises? We have our first cruise scheduled for February (an adults only, anniversary cruise); but I’m afraid we’re going to get hooked. This would be such a great Christmas gift for some year! Looks like extra fun! My husband and I went on our first cruise last December. It’s a wonderful time to go! You get to escape the cold weather and be surrounded by warm ocean breezes! I would love to go on a Disney cruise someday, especially one at Christmas. I love seeing Christmas decorations and Disney always does them well! My hubby and I did a cruise after Christmas that still had the decorations up and they were only up because they were going to do a short dry dock so they just waited to take them down until then. 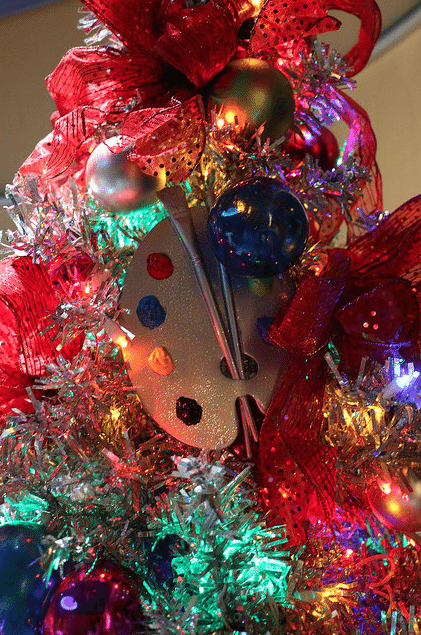 I loved having the decorations and it actually made me more excited to do a christmastime cruise! This year we will finally get to experience the full Christmastime cruise and I’m so freakin excited!!! I can’t wait to see the decorations again and all of the activities. My kids are going to have a blast! I’ve never been on a MerryTime cruise but now I really want too! The decorations look amazing. We are going on a cruise staring January 2nd. We will miss the festivities but we will get to enjoy the decorations. I cannot wait!